SAN FRANCISCO, CA, July 14, 2017 /24-7PressRelease/ — After nearly a year-long production process, CRUZANDO CORAZONES comes to life, a six-track EP packed with powerful symbolism and colorful expressions of important issues. On iTunes now (presale). Tiempos de Tinieblas is a Hip-hop song by young Bolivian rapper EDY who RAZTERIA met while volunteering at EnsenArte in Cochabamba. Co-produced by Jayme Arredondo it also features the charango playing of Bolivian star, Luciel Izumi. It’s a reminder of the end of Bolivia’s brutal oppressive history and a call to take control of one’s destiny in a free society. Recorded at LA Estudio and Truffula Oak studio. Agua pa Camello is a Colombian AfroBeat song by SURATIVA PARLANTE from Bogota, Colombia. This 9-piece band combines indigenous roots music & AfroBeat. Reminiscent of Fela Kuti, the upbeat song takes on the serious issue of water scarcity and the vital necessity to share. It was recorded live at Arbol Naranja. Suerte features KALIMBA, a Latin Reggae band from Bella Vista, in the province of Buenos Aires, Argentina. Quite simply, a love song infused with a feeling of gratitude for being alive. The lyric is by Argentinian lyricist Ariel Leira originally interpreted by Mercedes Sosa on the song Por Un Solo Gesto de Amor. Recorded at La Fragua Estudio. Solo en la Carne features LUCAS ROCHAIX, a young jazz guitarist composer from Olivos, in the province of Buenos Aires, Andres Dellacasa on drums and Raian Valenca Joao on bass. This song is the Spanish version of RAZTERIA’s award-winning song Once Again (John Lennon Songwriting Contest, Grand Prize, World Music 2016). It is a humble wish to see, feel and hear the words of loved ones who are far away. Recorded at Chafirete studio. Mosquito features female producer and multi-instrumentalist EMJE ROSE together with percussionist Oscar Reyes from Barranquilla, Colombia. Showcasing her vibrantly exotic feel of the Colombian Caribbean this is a fun song that takes on the message of Dengue fever prevention. Recorded and mixed at Afro Estudios. Todas las Voces interpreted by Patagonian folklore band CELESTE Y LAS MIL JARILLAS is a version of Cancion con Todos by Julio Cesar Isella and Armando Tejada Gomez made most famous by Mercedes Sosa. A Latin American anthem, it is a message of solidarity and appreciation for each countries’ unique beauty. Recorded and mixed at Chafirete studio. 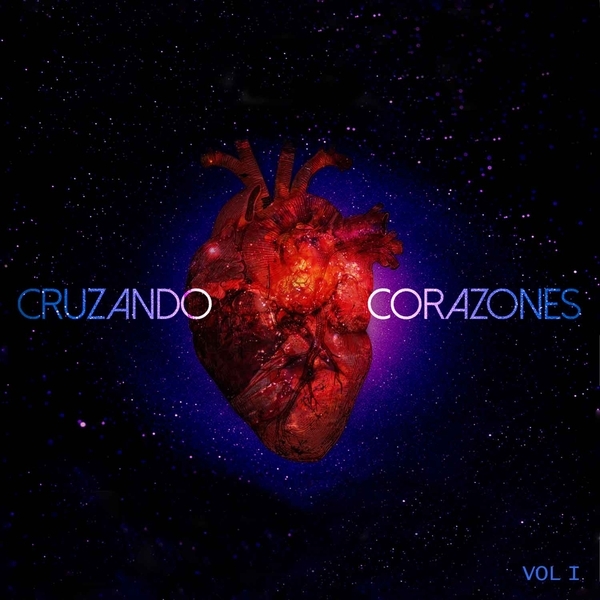 CRUZANDO CORAZONES VOL 1 was mastered by TrakWorx. Unless otherwise noted, all tracks produced & mixed by RAZTERIA. Artwork by Mexican artist Alfredo Varela. Shot and chopped by Japanese director Hitoshi Inoue, the official music video AVENTURERA is the title track from RAZTERIA’s most recent album (AVENTURERA, Asteria Records 2016). Beautifully staged in dozens of locations throughout California, it looks like it was shot on real film. The track is a collaboration with Peruvian artist YURIZA JARED and her band SANG MATIZ, an Afro Latin Funk band based in the San Francisco Bay Area. Look out for their new album coming summer 2017. Following September 1st, 2017, when CRUZANDO CORAZONES VOL 1 drops together with videos of the production process, RAZTERIA plans to launch 2 singles, one in English and one in Spanish, to give a taste of what’s next for the 2 albums in the works for 2017-2018. RAZTERIA will be playing at Musikfest with Reggaeton band Mr. O Band, on August 7-8, 2017 in Bethlehem, PA. For more tour dates visit: RAZTERIA.com/events. Multi-genre, tri-lingual, singer-songwriter & producer RAZTERIA (Renee Asteria) is a San Francisco-based artist with Bolivian-Dutch roots. Producing music with a message, she founded Truffula Oak Studio in El Sobrante, California, a solar powered recording studio, barter-based / low-cost space for aspiring artists. She produces and engineers most of her music, making her part of the 1% of the female producer-engineers.